announced an open call for scholarships for those who want to attend the 9th Asia Pacific Conference on Reproductive and Sexual Health and Rights (APCRSHR), which will be held in Vietnam on November 27-30, 2017! 27 June 2017 United Nations entities recall that a central principle of the 2030 Agenda for Sustainable Development is to “ensure that no one is left behind” and to “reach the furthest behind first”. 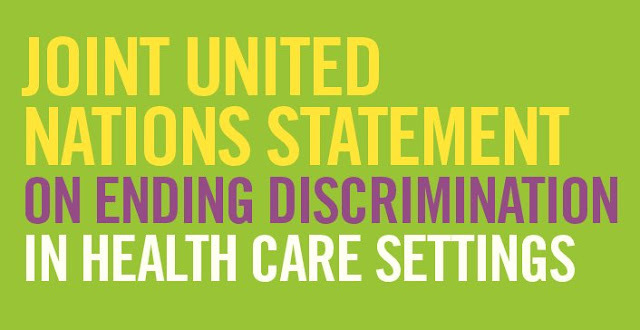 Recognizing that discrimination in health care settings is a major barrier to the achievement of the Sustainable Development Goals (SDGs), United Nations entities commit to working together to support Member States in taking coordinated multisectoral action to eliminate discrimination in health care settings.Discrimination in health care settings is widespread across the world and takes many forms. It violates the most fundamental human rights protected in international treaties and in national laws and constitutions. 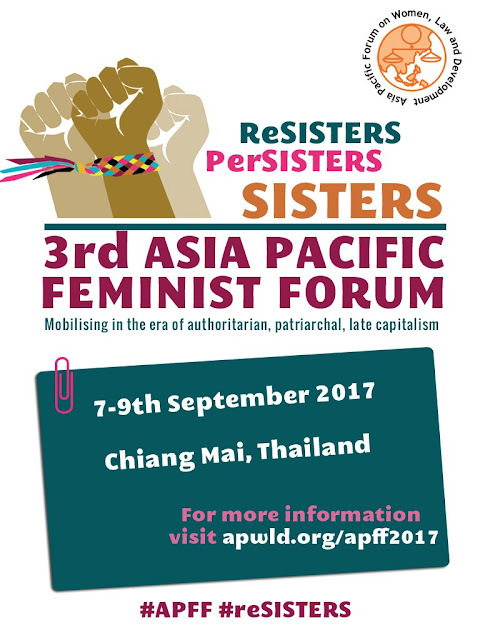 APPLICATIONS OPEN FOR 3rd ASIA PACIFIC FEMINIST FORUM 2017! The 3rd Asia Pacific Feminist Forum is a participatory event bringing together activists, women human rights defenders, academics, lawyers, and global allies. The forum will facilitate the sharing of tools and resources, provide space for advocacy, strengthen capacities and invite us to collectively strategies to build our power in the era of authoritarian, patriarchal, late capitalism. 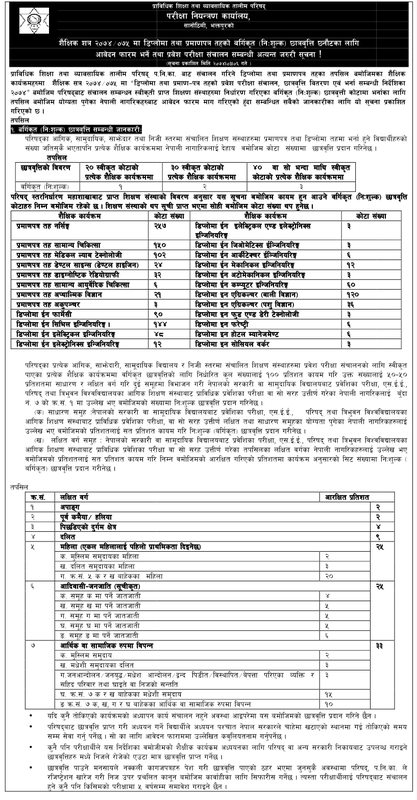 Japan-Nepal Health and Tuberculosis Research Association (JANTRA) a pioneering and leading NGO is going to implement Family Planning and Medical Abortion related project in the 13 Districts of Nepal in the near future. OpenCon 2017 OpenCon is the conference and community for students and early career academic professionals interested in advancing Open Access, Open Education and Open Data. OpenCon 2017 will be held on November 11-13 in Berlin, Germany. Each year, OpenCon brings together a diverse, representative, and engaged group of participants, with travel scholarships available to most participants. For this reason, attendance at OpenCon 2017 is by application only. The benefits of applying for OpenCon 2017 extend far beyond attending the Berlin meeting. It’s an opportunity to find collaborators, get connected with scholarships to attend related conferences, and be recognized by the community for the work you do to promote Open Access, Open Education and Open Data. To find out more about OpenCon and our issue areas before applying, click here. Conference Info: 3rd International Conference on Public Health (ICOPH 2017) The advancement in Information Technology as its benefits have equally led to the emergence of diseases that require due attention and medication in compared to the living a decade ago. Health being a vital factor to be addressed promptly, the healthcare sector will require the adequate infrastructure to cater to the needs of the increasing population for a healthy and a sound society. The 3 rd International Conference on Public Health 2017(ICOPH 2017) is believed to stage the voice of the stakeholders for the betterment of the world at large. 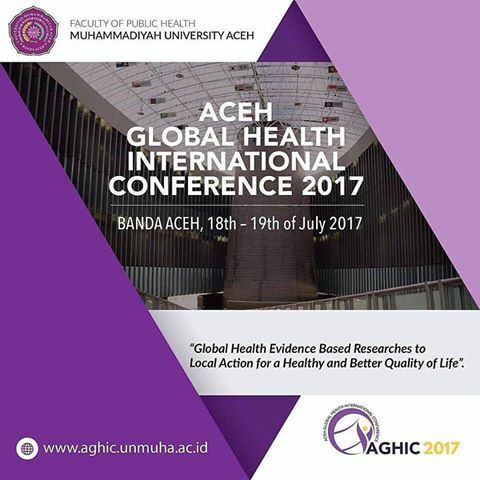 The Aceh Global Health International Conference 2017 (AGHIC 2017) will be held on 18th and 19th July 2017 at the UCC Ahmad Dahlan Hall, Muhammadiyah University Aceh. The aims to exchange of research findings, ideas, innovation, and to strengthen the collaboration and networking among participants in addressing public health challenges and its impact on global health. The theme of the conference is “Global Health Evidence Based Researches to Local Action for a Healthy and Better Quality of Life”. The conference is organised by the Faculty of Public Health, University of Muhammadiyah Aceh. The WHO Guidelines on Ethical Issues in Public Health Surveillance is the first international framework of its kind, it fills an important gap. The goal of the guideline development project was to help policymakers and practitioners navigate the ethical issues presented by public health surveillance. This document outlines 17 ethical guidelines that can assist everyone involved in public health surveillance, including officials in government agencies, health workers, NGOs and the private sector. The International Day against Drug Abuse and Illicit Trafficking is a United Nations International Day against drug abuse and the illegal drug trade. It is observed annually on 26 June. By resolution 42/112 of 7 December 1987, the General Assembly decided to observe 26 June as the International Day against Drug Abuse and Illicit Trafficking as an expression of its determination to strengthen action and cooperation to achieve the goal of an international society free of drug abuse. This resolution recommended further action with regard to the report and conclusions of the 1987 International Conference on Drug Abuse and Illicit Trafficking.